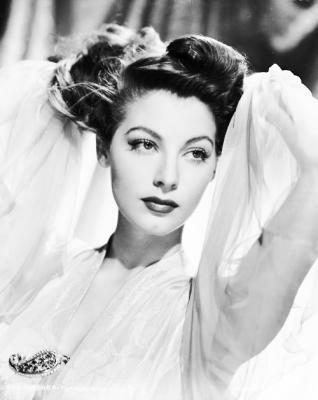 Celebrating local Hollywood legend, Ava Gardner. Travelers of all ages continue to flock to the Ava Gardner Museum in Smithfield, where the community pays tribute to one of Hollywood’s brightest stars. From humble beginnings in Johnston County to starring in 59 films, Ava is known around the world as one of the most beautiful women ever to work in Hollywood. The museum has displays that change annually so that visitors to the museum can see new items from the vast collection the museum curates of Ava’s clothes, costumes, photos, personal mementos, art, letters, and props. In May of 2018 the Ava Gardner Museum opened the “Hemingway’s Heroine” Exhibit, showcasing Ava’s close friendship with Ernest Hemingway. This exhibit features, for the first time, a movie costume reproduction. Danielle Lynch, a fashion designer from Raleigh who has been inspired by Ava’s fashions, recreated the iconic black satin, single- shoulder strapped dress Ava wore in The Killers. In The Killers Ava starred opposite Burt Lancaster as lounge singer Kitty Collins; her sultry look in the film launched her career and led some to exclaim she was the most beautiful woman to ever work in Hollywood. The Killers also marked the start of Ava’s ties to Ernest Hemingway - whose short story the film was based on. The exhibit will expand upon the evolution of that Hemingway connection, which lead to two more film roles in Hemingway adaptations – The Snows of Kilimanjaro and The Sun Also Rises. By the time Ava starred in The Sun Also Rises she had met Hemingway in person and they became fast friends. The exhibit encompasses all of this Hollywood history using artifacts from the extensive collection of the Ava Gardner Museum. The Ava Gardner Museum is open Monday-Saturday, 9-5pm, and on Sunday 2pm-5pm. Visitors from around the world visit the museum each year, which is conveniently located just one mile off of I-95 at Exit 95. Admission is $8.00 for adults with discounts available for seniors, groups of 15 or more people, military, teens, and children 6-12 years old. Exhibits are changed once a year at the museum to keep visitors returning to the museum and to attract new patrons. To keep up with the museum, information may be found on the website, www.avagardner.org and through the BLOG posts.